The Bank of England (BOE) and The European Central Bank (ECB) have chosen to stand pat after their recent policy meetings. 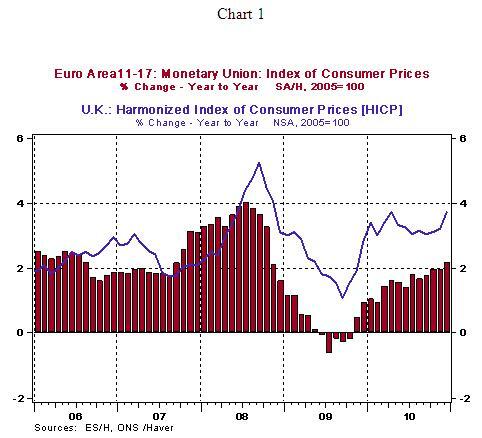 However, inflation readings in the UK and the Euro area are problematic, particularly in the UK. President Trichet of the ECB, last week, presented a less concerned stance about inflation compared with his comments in prior weeks. Inflation in the Euro area (2.2%) is slightly higher than the target rate of 2.0%. However, inflation is at a noticeably higher level in the UK (3.7%) compared with the target. This morning, the Bank of England decided to leave policy rates unchanged as underlying economic conditions are troubling, given that real GDP fell in the fourth quarter. In the US, the Federal Reserve is in a sweet spot and can continue to focus on economic growth in the inflation-growth debate. At the present time, inflation expectations are contained and pass through of higher food and energy prices to core CPI has not occurred. In the meanwhile, the situation in emerging markets is markedly different. 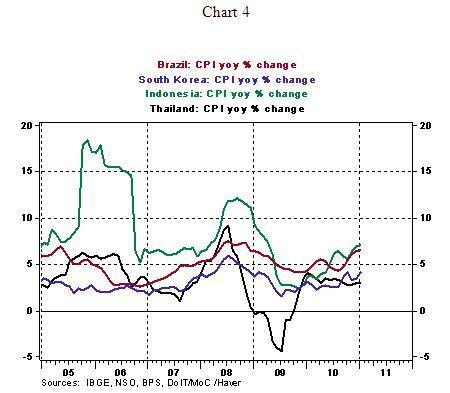 Inflation in China and India has led to tightening of monetary policy in both nations. Overall inflation in India has decelerated in recent months but the November year-to-year change in CPI was at an elevated level of 8.4% (see Chart 3). 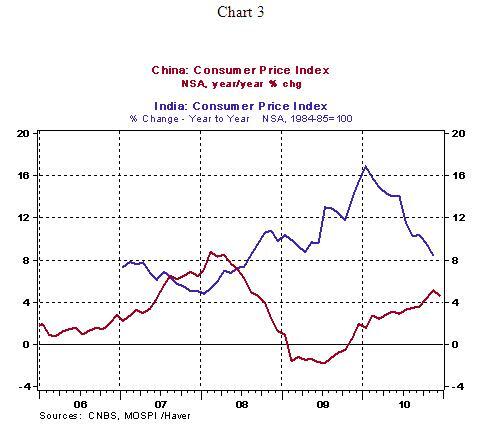 The CPI of China touched 5.1% in November and was slightly lower in December at 4.6% (see Chart 3). In the other emerging markets, price pressures are evident (see Chart 4) and suggest a worrisome trend if the pace of economic growth continues to advance. The dual speed global economy has led to different monetary policy stances of central bankers. 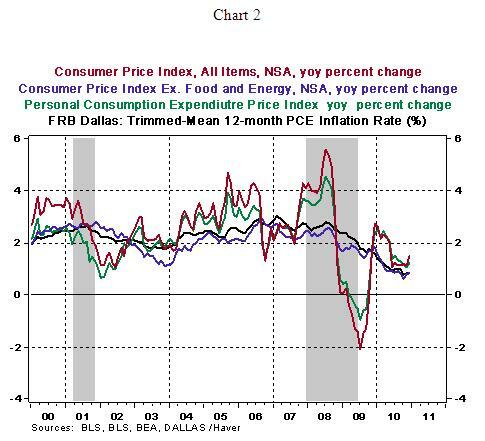 The key question is how much of the pass through of higher food and energy prices to core consumer prices will occur across the global economy. This is new territory for central bankers to the extent that emerging markets are leading global economic growth.